Each under 5-minutes, highly produced "Gems of Bluegrass" module discusses a key element of bluegrass music. Some Gems of Bluegrass relate to a particular bluegrass style or sub style, repertoire, commonplace bluegrass themes, playing techniques or study the work of a particular artist. Each Gem of Bluegrass contains snips of music taken from CD, along with Phil Nusbaum's commentary. 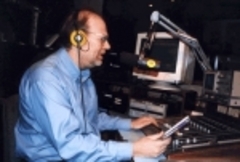 Phil is an experienced radio producer, bluegrass scholar and bluegrass performer. Each Gem of Bluegrass also appears on the Bluegrass Review broadcast with the same number. (The Bluegrass Review is a one-hour bluegrass show available free of charge from PRX, or from Phil Nusbaum. For information on the show, see the Bluegrass Review listing on Phil Nusbaum's section of the PRX website or go to www.bluegrassreview.com. Gems 1722 On Bluegrass Evolution, Or is it Revolution? Gems of Bluegrass 1710. Who Likes Work?